Manila Water bags 7 Anvils | Manila Water Company, Inc.
Photo shows Manila Water executives led by COO Geodino Carpio (second from right), Manila Water Philippine Ventures President & CEO Virgilio Rivera Jr.(6th from left), Corporate Operations Group Director Thomas Mattison (3rd from right), Manila Water Corporate Project Management Group Director Maidy Lynne B. Quinto (3rd from left), Corporate Strategic Affairs Head Jeric Sevilla Jr.(1st left) along with company managers. 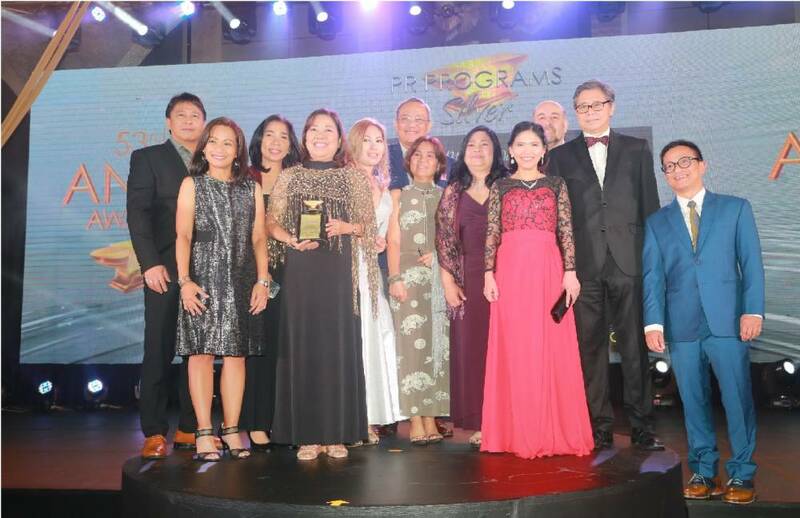 Ayala-led Manila Water Company, Inc. and its subsidiaries Laguna Water, Boracay Water, and Clark Water bagged seven honors in the 53rd Anvil Awards held recently at Shangri-La at The Fort in Taguig City. Present to receive the awards were company executives led by Manila Water Chief Operating Officer (COO) Geodino Carpio, Manila Water Philippine Ventures President and CEO Virgilio Rivera Jr., Manila Water Corporate Operations Group Director Thomas Mattison, Manila Water Corporate Project Management Group Director Maidy Lynne B. Quinto and Manila Water Corporate Strategic Affairs and Corporate Communications Head Jeric Sevilla Jr., along with Manila Water managers.